All my china is white and blue (you might have seen some of my cooking fails on the FB page where I shamelessly post pics and make fun of myself! 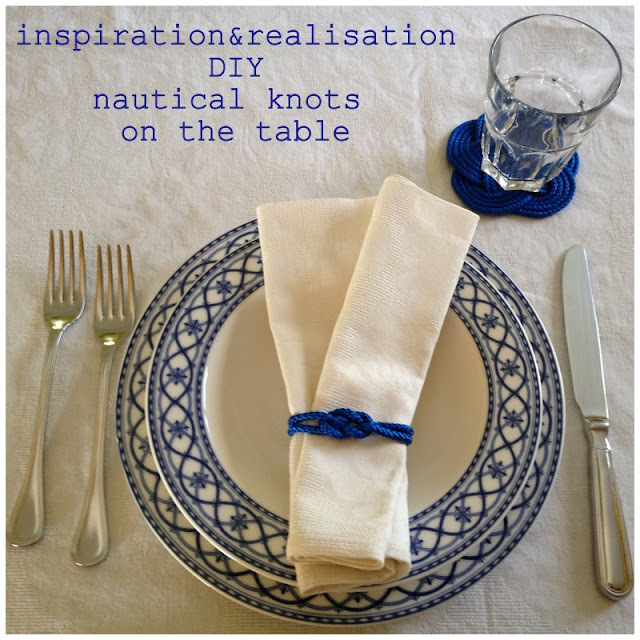 ), and placemats or table cloths are either white or... white & blue. 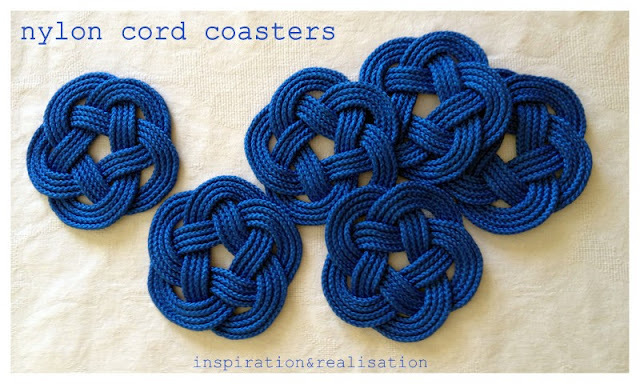 Believe it or not, until yesterday I didn't have coasters. Which means rings on the tablecloths and high chances of rings on my wood kitchen table. 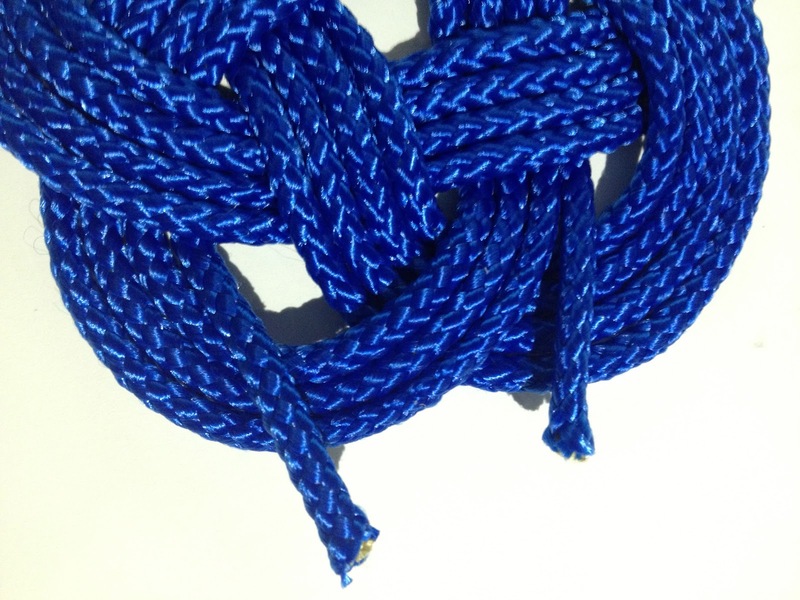 Love knots. Love blue. Needed coasters. 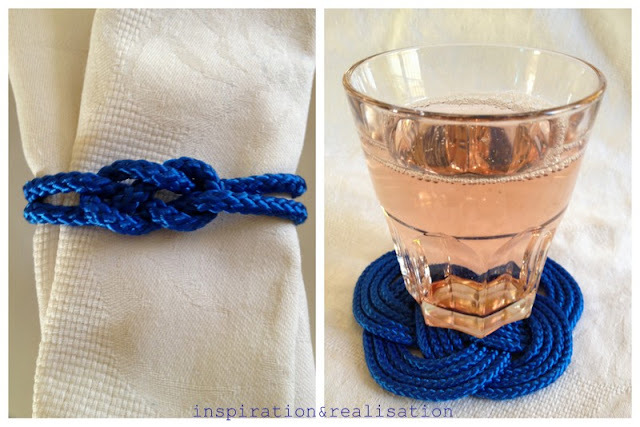 And since I already have already a nautical trivet... might as well keeping the same theme. I even made (a two minute project) napkin rings with the leftover cord! 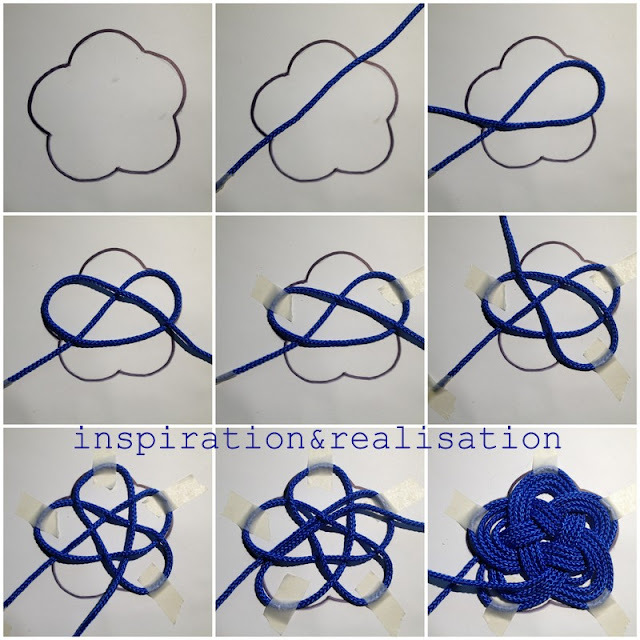 (tutorial for this knot here and here). but made few adjustments... because the result was something like this... which took me a while to get to the desired shape. 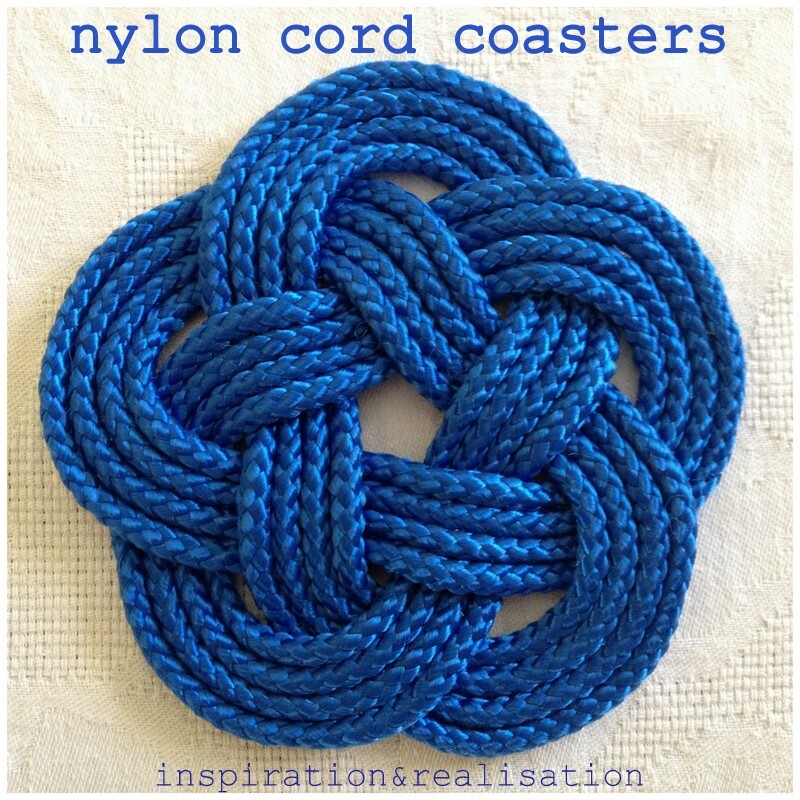 * will help the process of making several coasters with the exact same dimensions. Then I followed the steps, and used masking tape on each of the bights to keep my cord in place (also nylon rope is really slippery and the tape comes really handy). this is how the back looks once done! 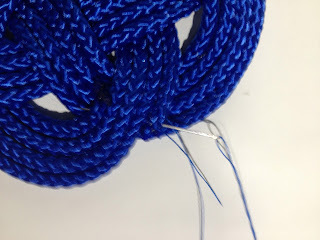 Because I used nylon cord (which again, is REALLY slippery), I sew few stitches all around the knot to make sure that won't get messy. Actually I've been thinking about learning how to do this kind of knots for my crafts, and I think today can be a good day. Thanks for the inspiration. 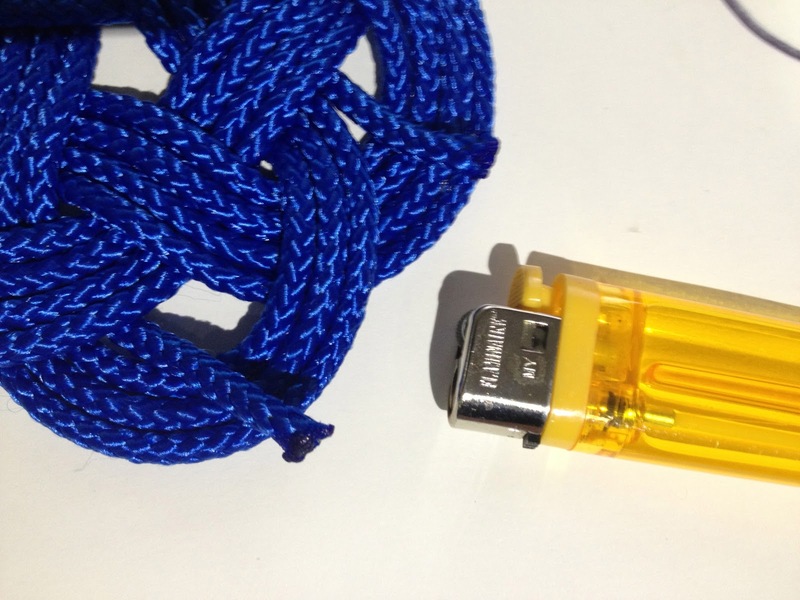 That seemed challenging to do, but I shall not be daunted for I so adore your design and I want to make one for myself. Thank you for this! Do you know the diameter of the nylon you used? Hi Amy, it's a 1/4" diameter, I bought mine at the Home Depot! xox, d.